A line of quick release shaft collars with a mounting flat for securely attaching cameras, counters, optics, sensors and many other devices is available from Stafford Manufacturing Corp. of Wilmington, Massachusetts. The Staff-Lok™ Shaft Collar features an integral hinge with a conformal cam lever and a knurled screw that provides fully adjustable clamping by hand without tools. Featuring a mounting flat with a countersunk drilled and tapped hole and two mounting holes on the face, it permits the attachment of optics, sensors and other devices along with rapid setup and positioning. 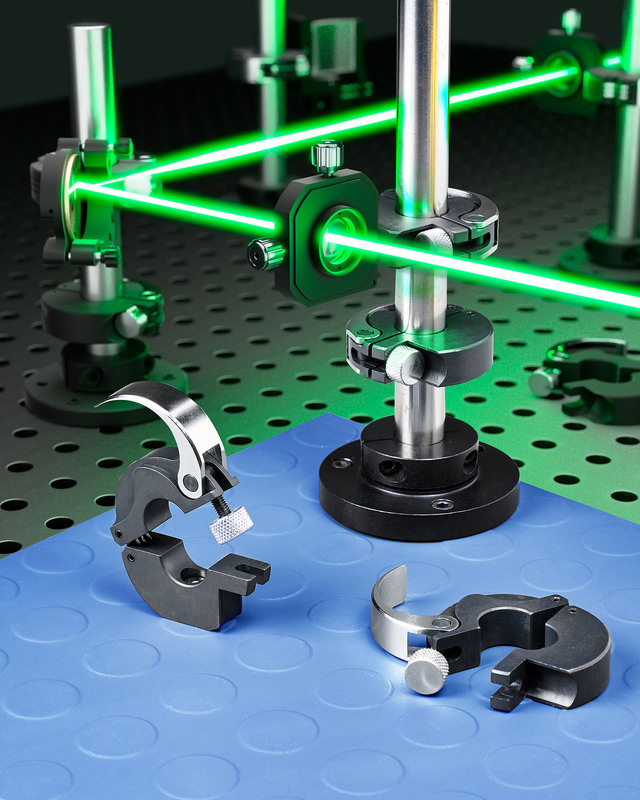 Machined from steel with a non-glare black oxide finish, Staff-Lok™ Shaft Collars are ideal for use as clamps, stops or spacers in non-rotary appli-cations where fast and secure clamping is desired. Offered in 0.5” to 2.5” I.D. sizes, a non-mounting version for positioning only, and specials are also available with custom bores and mounting options. The Staff-Lok™ Shaft Collar is priced according to version, size, special requirements, and quantity. Price quotations are available upon request.